On the main academic medical center campus, a maze of buildings often makes it a challenge for patients and family members to navigate their way to an appointment or loved one. Fortunately, a new program was recently launched with the aim of making wayfinding easier for all. Developed by the Office of Patient Experience, the HOPE Ambassador Program is made up of specially-trained volunteers known as “ambassadors.” True to their name, HOPE (Helping Our Patients Everyday) ambassadors accompany patients and family members from the moment they enter the building until they reach their destination. “My favorite part of being an ambassador is knowing that I relieved some stress of going to a hospital for someone who is overwhelmed,” said Charlie Start, a student in the School of Kinesiology who takes part in the new program. 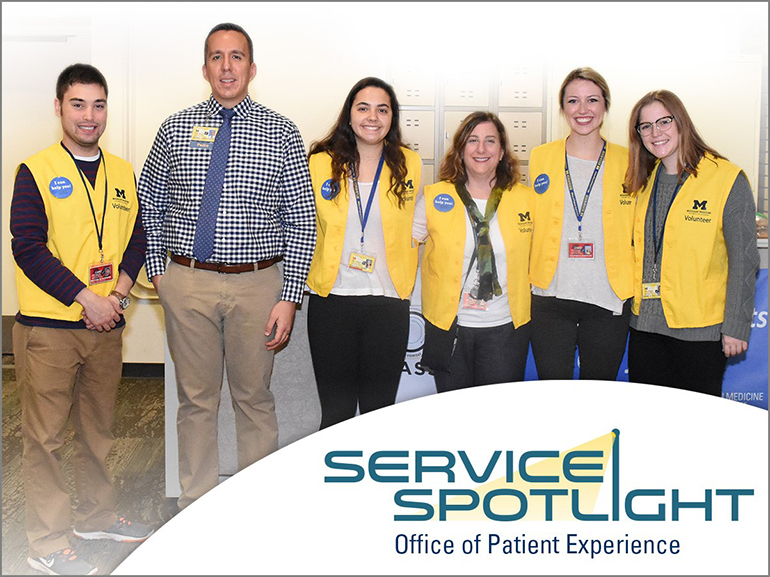 Wearing an easily identifiable yellow vest, ambassadors are located at strategic, heavily-traveled entrances throughout the Michigan Medicine complex. Since the start of the program in early October, 90 volunteers have helped almost 10,000 visitors. The program has received positive feedback from patients and family members who were helped by the ambassadors. Ambassadors are available from 7:30 a.m. until 7:30 p.m., Monday through Friday. All volunteers who sign up must attend a training session. If you or someone you know is interested in volunteering, please email the program at hopeambassador@med.umich.edu.